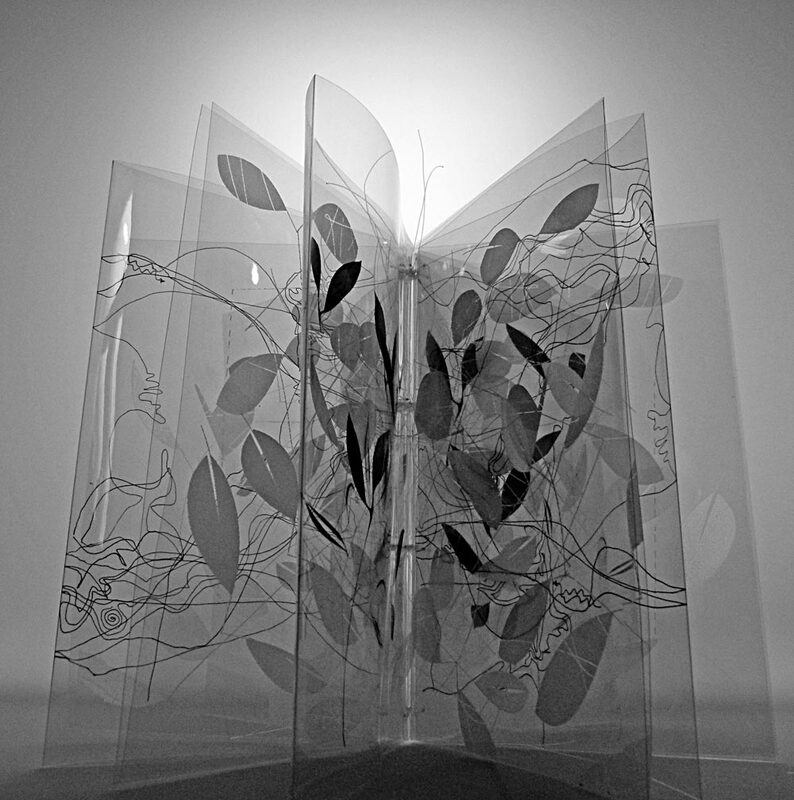 In the Transparence series, The book becomes a sculpture – seeming to not quite occupy space. 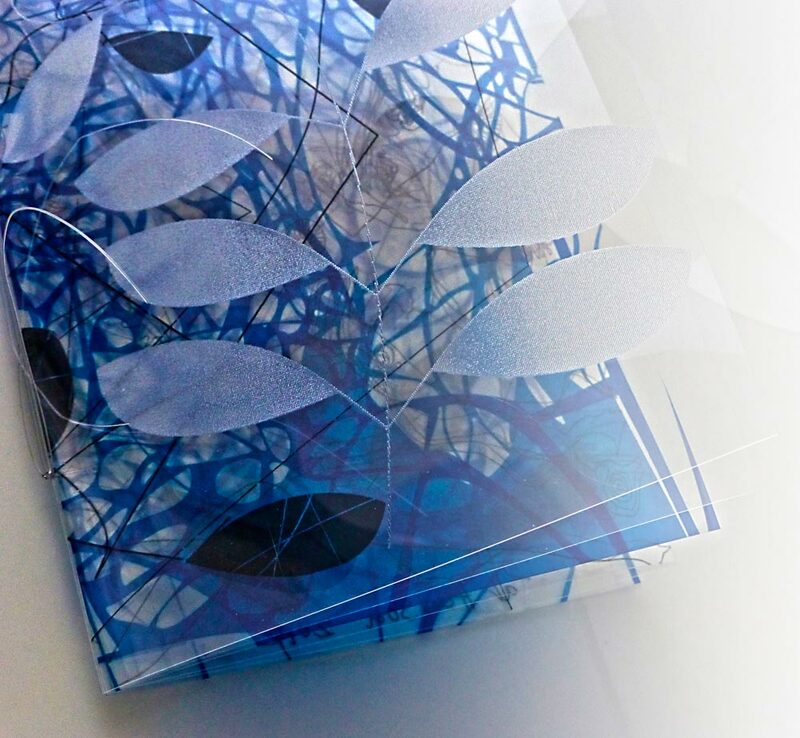 Its physical existence revealed by the laser engraved silver marks etched into the surface and – on alternate pages, thermally transfer printed shapes. 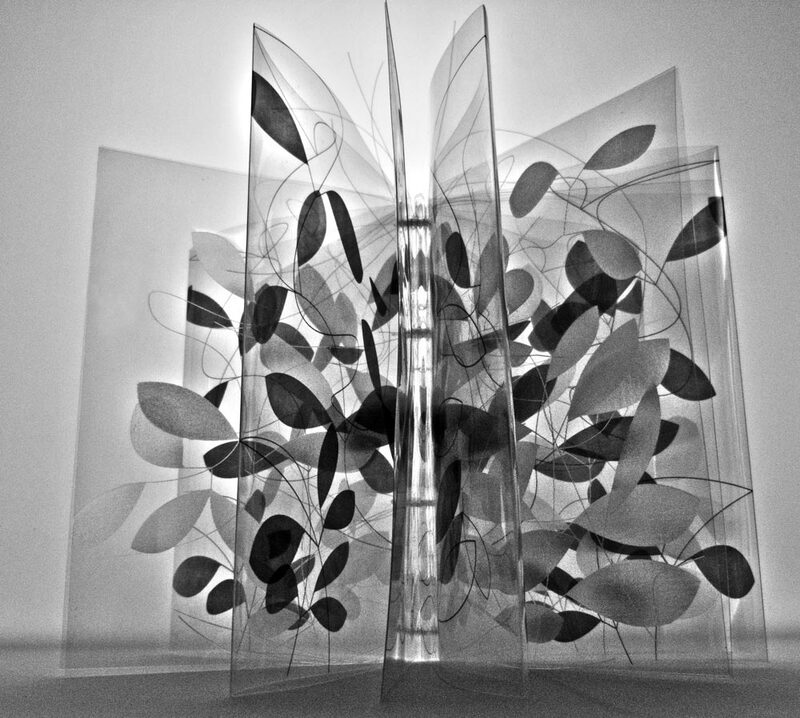 Both appearing to float in mid air between the transparent pages. 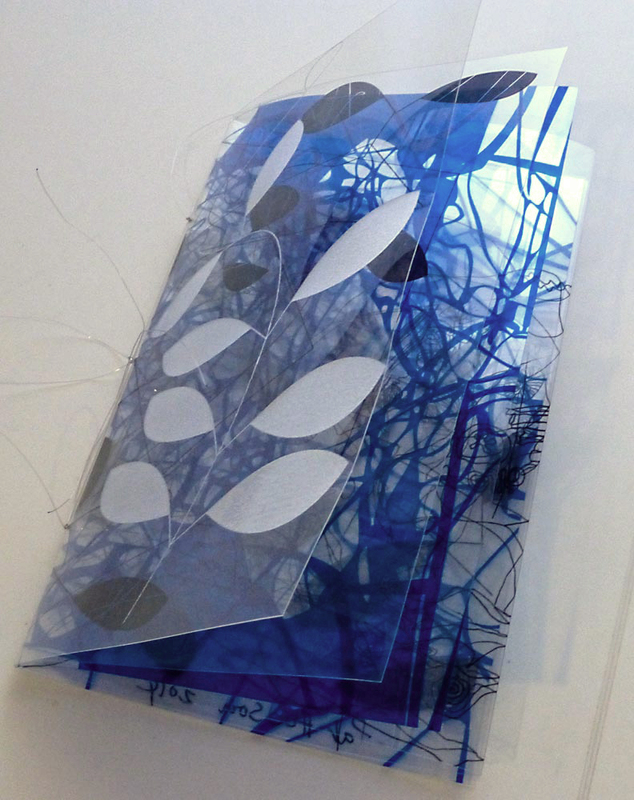 Pages are made from Melinex Polyester film, sewn with transparent thread. Pages resist folding, spring away from the spine, forcing a physical space between each page. Alternate pages are laser etched and printed. The polyester material does not like to fold, and combined with the way it is sewn, the pages spring away from the spine to form a complete circle. The design on each page is deliberately very simple. 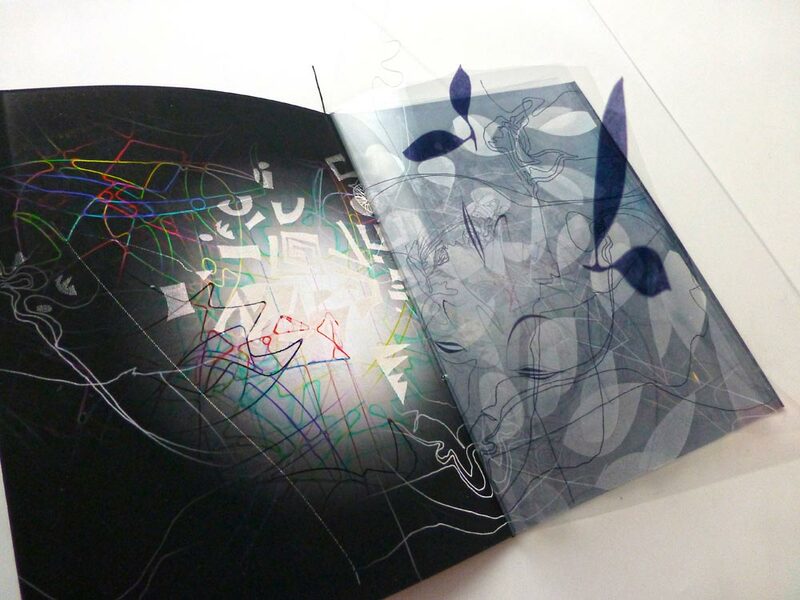 On alternate pages are laser engraved shapes which have a comparative opacity and a textural surface which contrasts both with the transparent page and the inky black printed shapes of other pages. Close up, they seem to be made of drawn silver lines. Every mark on each page can be seen because of the transparency of the page, as can the long ends of thread from the sewing of the book. Three pattern compositions are repeated through the 24 pages and combine visually into a complex, layering of a web like intertwining of line and shape. 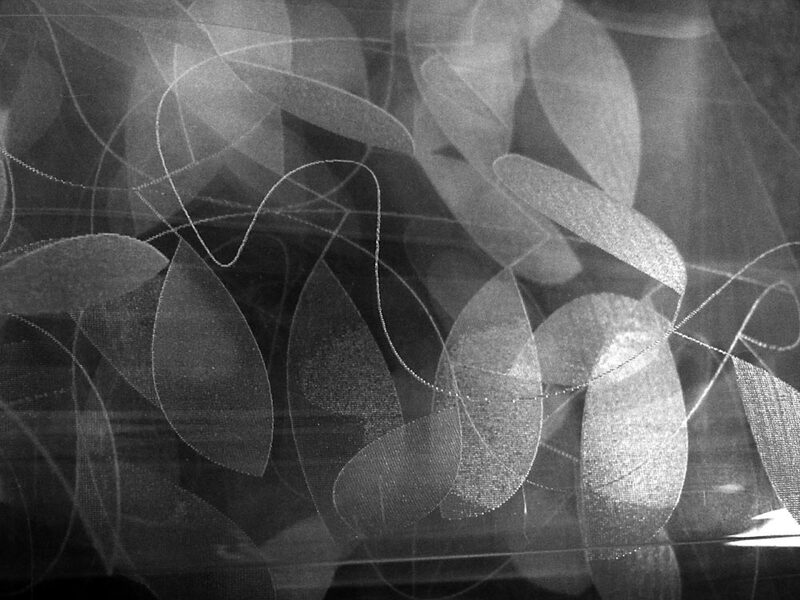 The repetition has order, yet seems tangled – reflecting the apparently chaotic growth patterns of organic matter in the natural world.